Srinagar, Aug 30 (KNS): The gunfight that raged between forces and militants in the wee hours of Thursday in Par Mohalla area of Hajin in north Kashmir’s Bandipora district ended with the killing of two foreign militants, affiliated with Lashkar-e-Toiba (LeT). 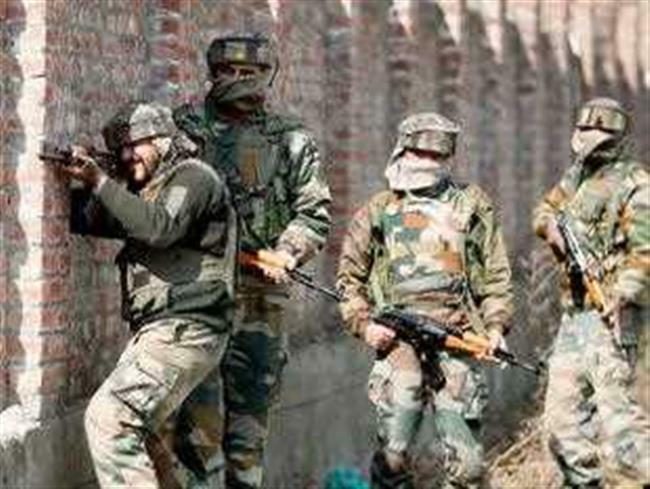 Officials said that on a specific tip off, a joint search operation was launched by the forces and police in Par Mohalla Hajin during which the militants fired on the party, thus ensuing the gunfight. They said that in the ensuing encounter that raged at around 06:00 am, two militants were eliminated. Police said that huge quantity of arms and ammunition including rifles, magazines, pouches etc and incriminating material was recovered from the site of encounter. The state police said that as per the material recovered from the encounter site, it is learnt that both the slain militants were foreigners and identified as Rizwan alias Jindaal and Ali alias Maaz. “The slain militants were affiliated with LeT and were involved in several attacks on security establishments and civilian atrocities in the area,” police said, adding that a case has been registered in this regard while as the investigation was initiated in the matter. Meanwhile, according to KNS correspondent, amid encounter in the area, the youth took to streets and resorted to stone pelting. Local sources informed that the clashes erupted in the area following the encounter in Par Mohalla during which forces used tear gas canisters to disperse the agitating youth.